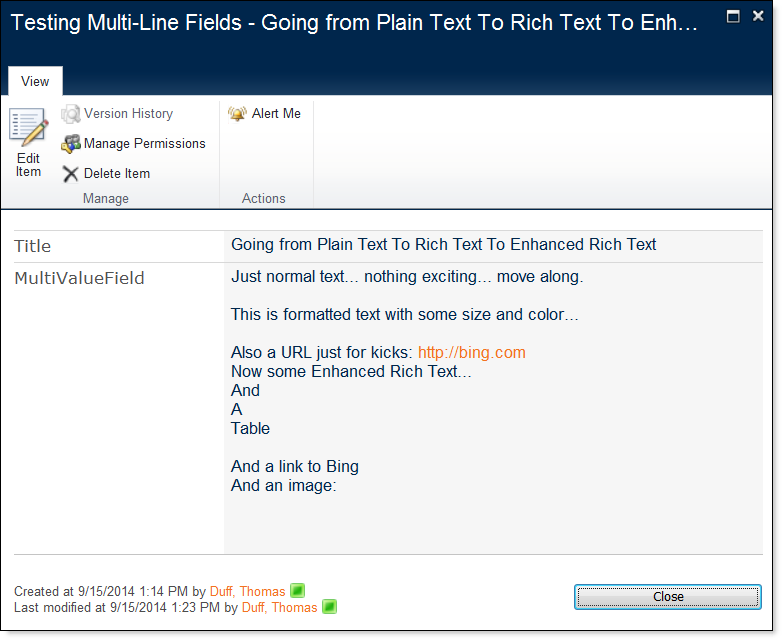 ← Have fun AND learn SharePoint stuffs? Join us at SharePointalooza in Branson, MO September 12th and 13! 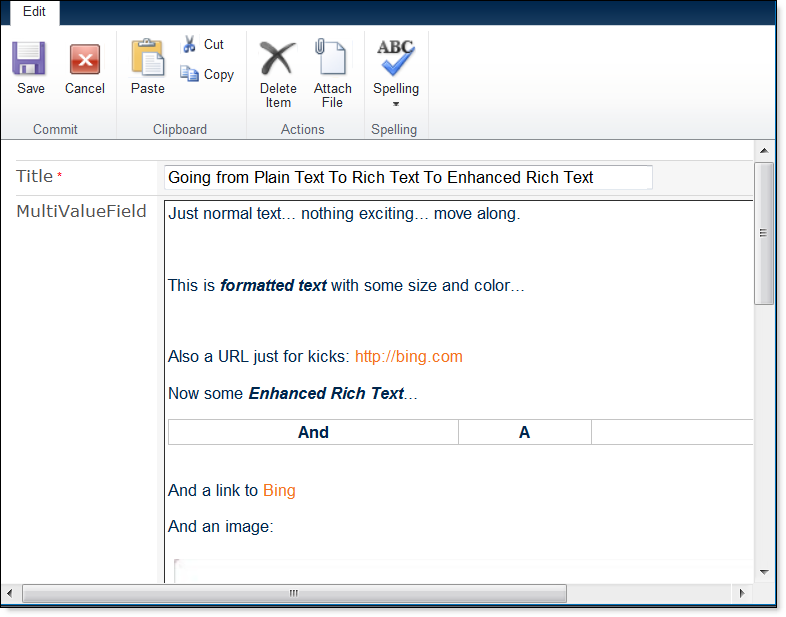 What happens when you move from plain text to rich text to enhanced rich text? 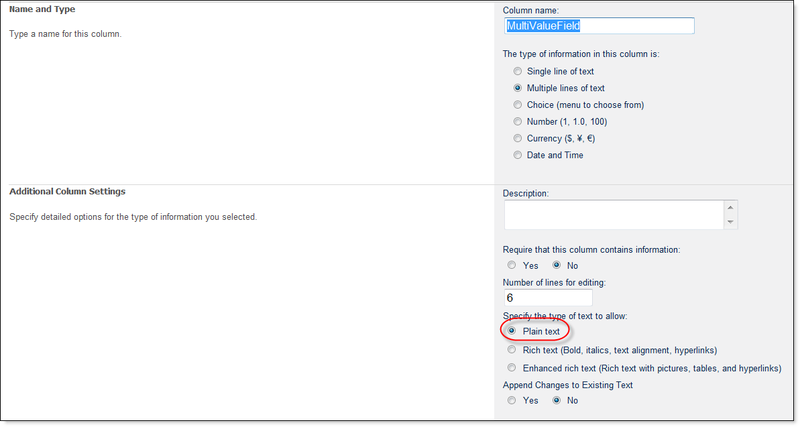 So the situation is as follows… I have a number of multi-line text columns that are set at Plain Text. The customer wants to have some formatting applied to them, which is OK (since we’re going from less to more on the formatting issue). But I know there are situations where if you’re going from more to less formatting, you lose some level of detail in the field. So far that works like I would expect… now to work back down. 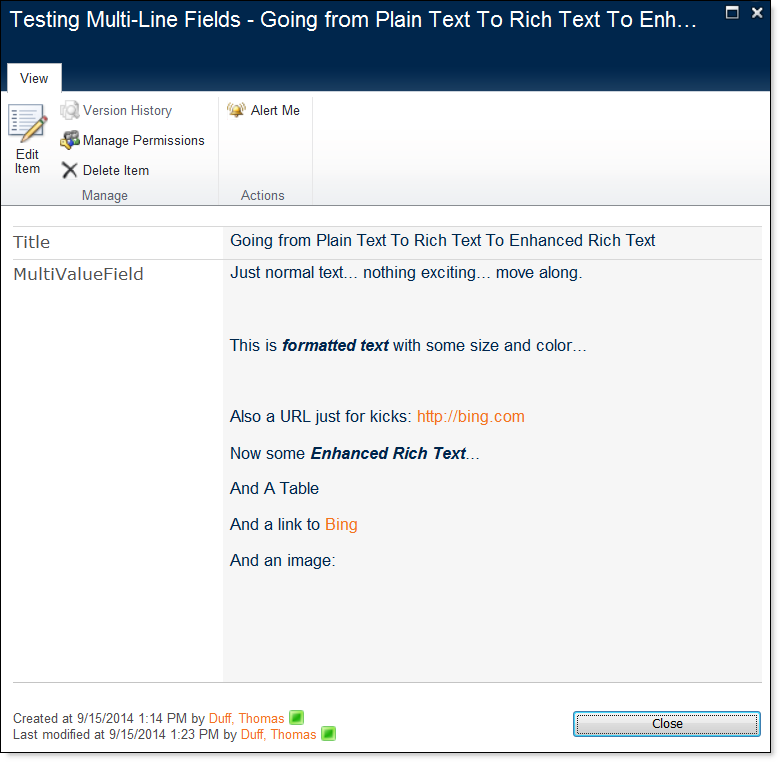 Bottom line… you can change a multi-line text column to go to a higher level of function with little issue. But if you start moving down the list, you’ll progressively lose formatting, even though you’ll keep the raw data (except for images and any links to words/images). 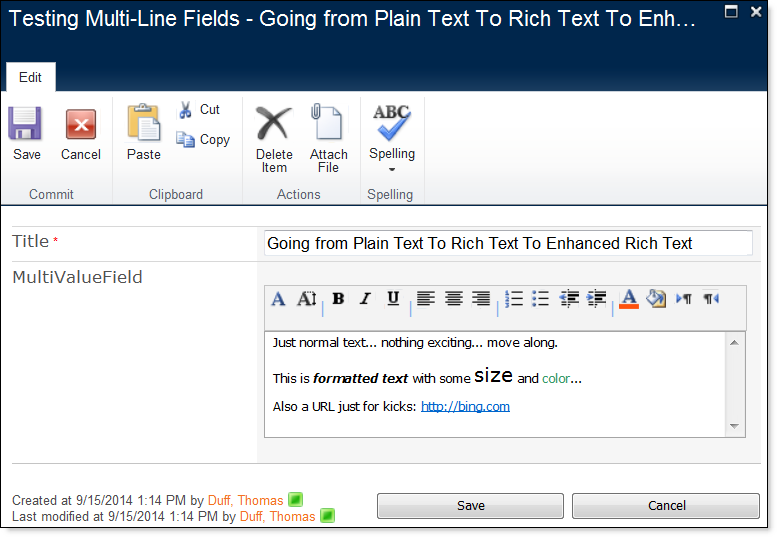 I’ve been having an issue changing from Enhanced Rich Text to Rich Text. The motive for this is so that Excel can be used to update the list using VBA coding. 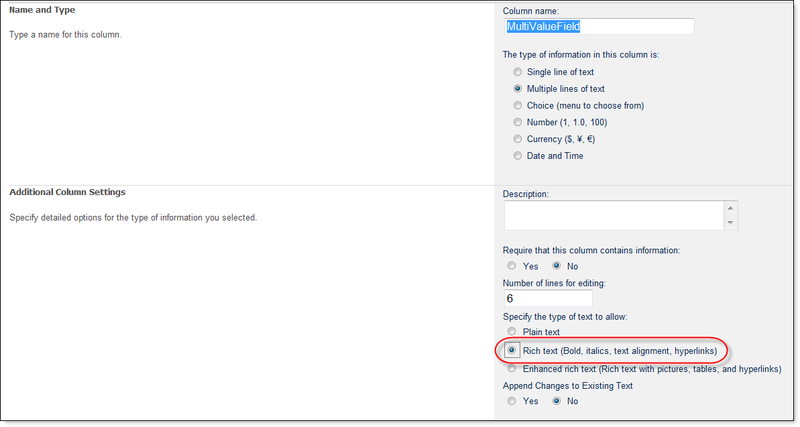 Enhanced Rich Text blocks any changes saying that the “column is read-only”. Below is the html coding that makes up the hyperlinks in our case and you’ll see that after the change was made to Rich Text, the address part of the hyperlink goes missing. This surely implies that the conversion algorithm that Sharepoint uses is broken.